This descriptive history was compiled, written and edited by David Harding and was originally produced by The Friends of Croxley Great Barn. Croxley Great Barn (TQ 0700 9459) is a hidden, almost forgotten, gem. It is situated just to the south of the London Underground Metropolitan line to Amersham close to its junction with the Watford branch, and in close proximity to Croxley Hall Wood where the original Croxley Manor is believed to have been sited.' The barn is located on private land within playing fields belonging to St Joan of Arc School and access to view the barn must be sought from the owner. Indeed, it is now very difficult to get a clear sight of the barn, the best point from which to view it in the splendour of its natural setting being the Ebury Way, the disused trackbed of the former LMS branch line from Watford to Rickmansworth. And yet here is a building with a long and significant history and of considerable architectural interest. Prior to the dissolution of the monasteries, the manor of Croxley, like so many other manors in south-west Hertfordshire, belonged to the Abbey of St Albans. The farm was allocated to the abbey's cellarer and it supplied the abbey with grain for the monks' food and drink, barley being used to make malt. This area of southwest Hertfordshire had very fertile land in those days and the farm was very profitable. 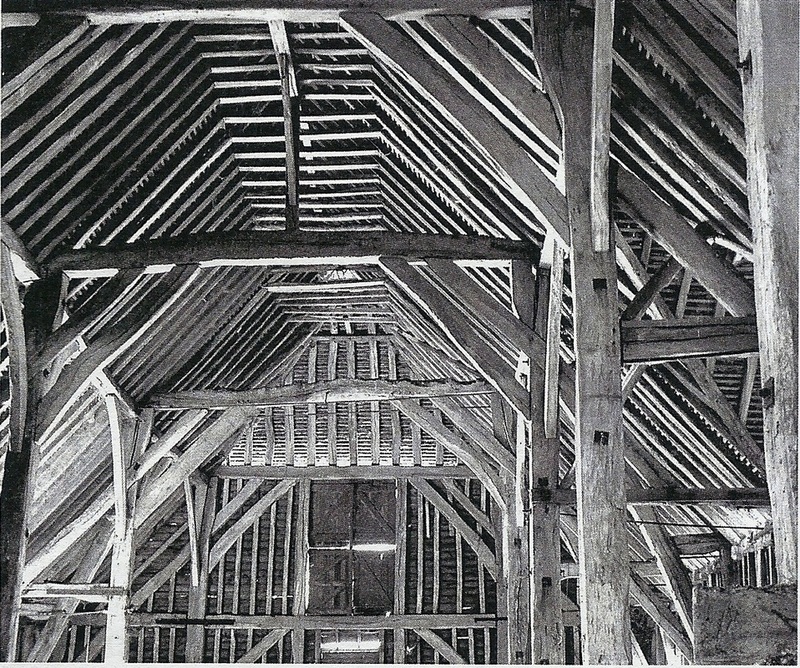 Entries in the St Albans Abbey Chronicles give a few details about the building of the barn. Some time between 1396 and 1401, Abbot John Moote paid 100 marks (about £66) for making a very large barn and other buildings at Croxley. (Gesta Abbatum Monasterii Sancti Albani 1396-1401,p 447.) Given to the Monastery of St Albans by Offa, King of Mercia (757-796), at the Dissolution in the 1540s the Manor of Croxley became Crown land and was tenanted by William Baldwin under a 44-year lease. It was sold in 1557 toDr Caius who was educated at Gonville College, Cambridge. He endowed and greatly enlarged the College, obtaining permission from Queen Mary (1553-1558) to be a co-founder and to change its name to Gonville and Caius College. 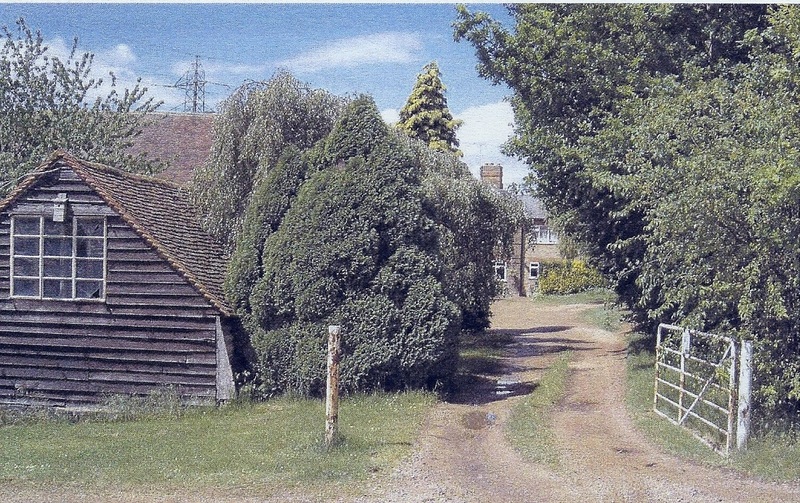 The Manor and barn were owned by the College from that time until 1972 when the barn and part of the adjoining land were effectively donated to Hertfordshire County Council to form part of the enlarged St Joan of Arc School complex. 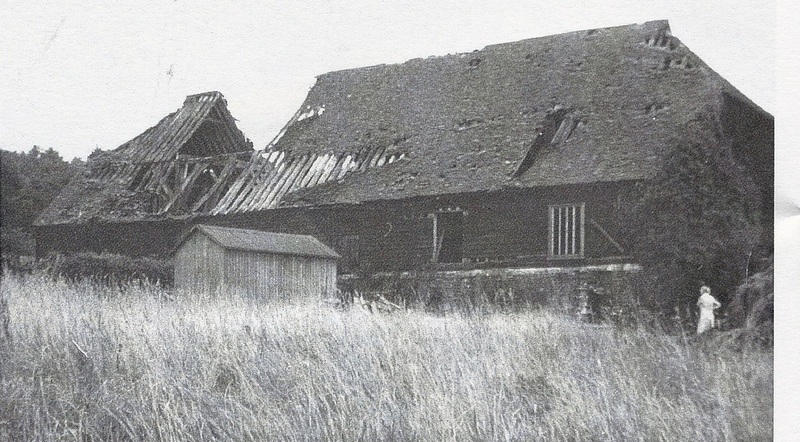 The barn was by this time in very poor condition, the roof having collapsed by the early 1970s, and the County Council undertook extensive repairs to restore it to a good state before handing it over to the school in 1975. © The front (south-east face), also photographed in 1912. Note the original deep roof and structures (outshuts) eliminated during repair work. Despite often being referred to as such, the barn is definitely NOT a tithe barn. In medieval times tithe barns were used specifically to store the produce that was rendered to the parish priest in tithes [see below] by parishioners and were usually built near the parish church and/or the priest's house. The parish church of St Mary, Rickmansworth, served Croxley as well in those days. The barn is about 1,000metres north-east of St Mary's, nowhere near the church but right next to the abbey's farm, so even its physical location confirms that it was a monastic barn, not a tithe barn. In towns (ie urban parishes) the little tithe could take the form of every tenth item produced, eg every tenth shoe from a shoemaker, although this was usually commuted for cash. Tithes were NOT paid to monasteries or abbeys. 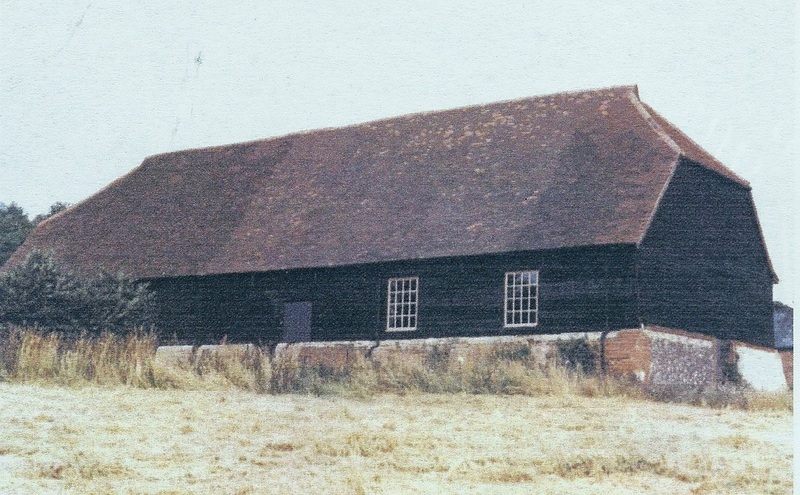 The barn, which is one of the largest of its type in Hertfordshire, measures 101ftby 40ft, consists of five weather-boarded bays and is aisled. The peg-hole tiled roof has half hipped gable ends and gablets. A contemporary timber-framed gabled porch projects from the eastern side of the central bay. Two of the open trusses are of collar and tie beam type and those forming the central bay are of crown-post type. The crown-posts are tall and square in section, with single curved braces which spring from near the bottom of the post to the central purlin. The arcade posts are 13 inches square and the arch braces and passing braces are 6 inches and 42 inches thick respectively. 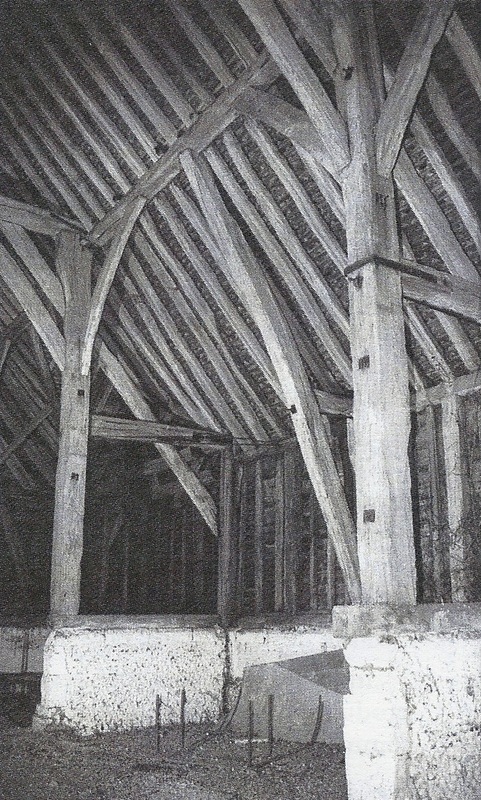 The aisles in the northern half of the barn are divided by sleeper-beams 9ft 3ins long by 13ins wide resting on walls 4ft lOins high, constructed of flint, Totternhoe clunch coping and in places brickwork. Because of the sloping ground the southern aisle partitions are higher and the southern external wall is 6ft 6ins high with remains of buttresses of flint faced in brickwork of a later date at the south-west corner. Midway between the principal wall-posts are jowled wall-posts, chamfered shores or secondary braces, 9ins by llins in section, and these are tenoned to the arcade plates. Tenoned to the shores and jointed to the wall-plates are short square-section ties. The right aisle tie and wall-plate of the porch are one, and the supporting wall-post is not jowled. The doors within the porch, which is in the centre of the eastern side of the barn, are large enough to admit a fully laden hay cart to pass over the flailing floor of 4ins thick oak boards. A grade II* listed building, Croxley Great Barn is a timber-framed aisled barn with a crown-post roof. It is one of a group of stylistically similar barns in the vicinity of St Albans. Although the barn underwent restoration in 1972-5, it remains remarkably complete. It is of particular interest in that it has a number of cruck-like intermediate arcade shores set at half bay intervals which look a little like basecrucks. They are braced back to the aisle wall posts by 'stub-ties' that appear original, but at their tops they only cradle the arcade plates. There remains some doubt about whether or not these features are original. The passing-braces rise to stop at tie beam level. The crown post/purlin support was apparently only set over the midstrey bay. All the tie beams are slightly cambered, though the collars are not. 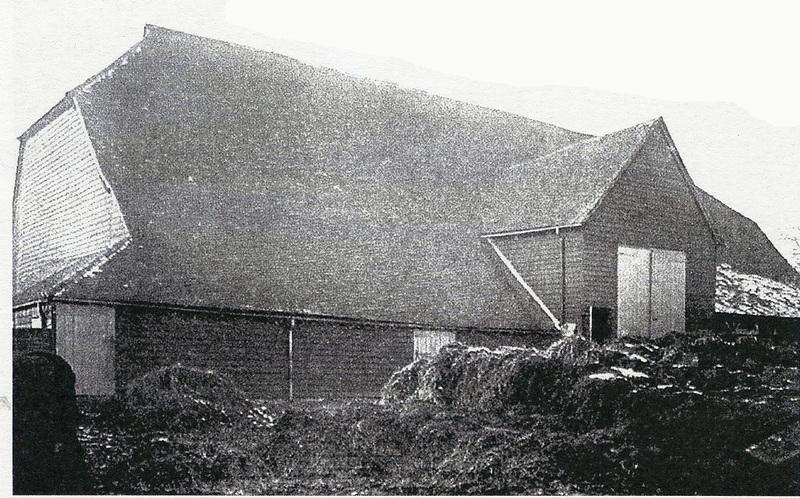 Dating was therefore commissioned by English Heritage in order to try and establish the date for this barn, thus effectively dating the other similar barns in the vicinity, and to see if dendrochronology would be able to settle the discussion about whether or not the intermediate arcade shores were original. 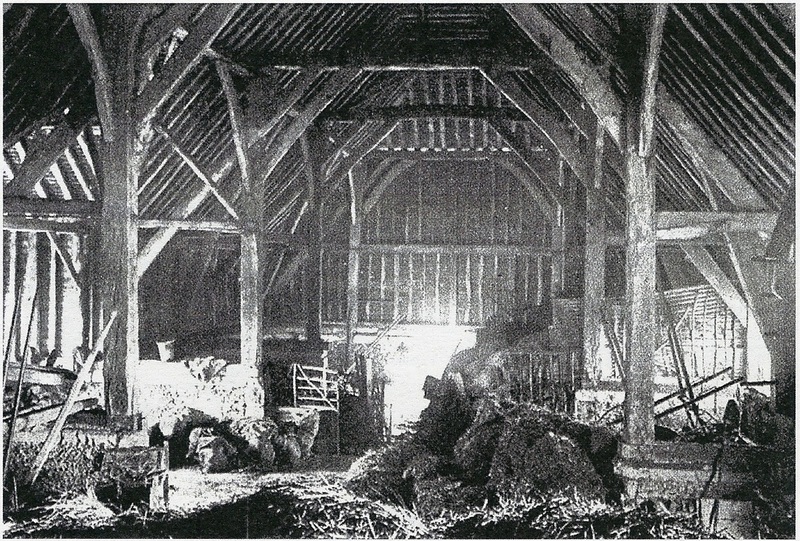 Despite the use of relatively fast-grown young oak trees to provide the large timbers in this barn, dendrochronological dating was possible. Some timbers exhibited unusual growth patterns and these could not be dated. This implies that some of the timbers may have been managed, suffered disease, or insect defoliation, during their lifetime. Only one sample retained complete sapwood, giving a felling date of the winter AD 1397/8.Three of the other timbers which were dated cross-matched well with each other and appeared to have come from a single group of timbers, perhaps representing a single woodland source. The other dated timbers exhibited likely felling dates which incorporated winter AD 1397/8,and it seems likely that they were all felled at the same time. This date agrees well with the historical records suggesting that the barn was most likely to have been constructed during John Mootes abbacy. One intermediate arcade shore was dated, this being one of the four timbers in the site chronology. 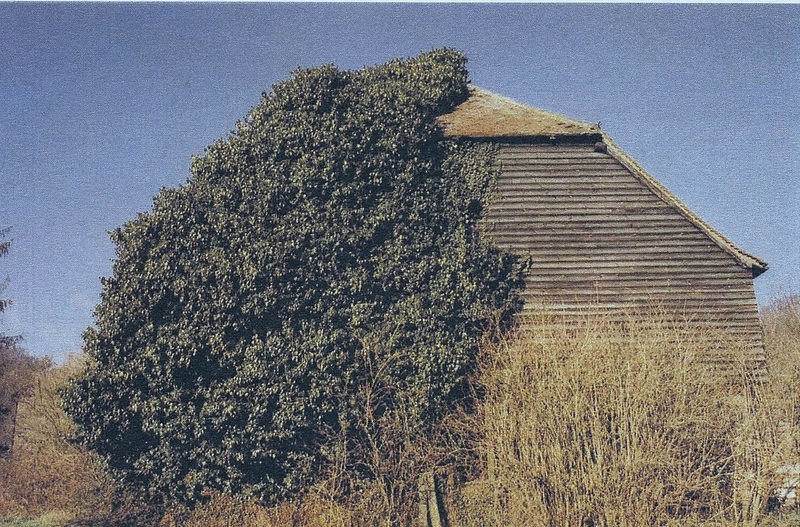 This shows that these unusual features were indeed part of the original build of the barn. Perhaps the first question that presents itself is whether the existing floor level is now well above the original 14th century floor and how the original threshing floor has fared. A geophysics record of the floor area might also provide evidence of any previous structure within the present walls whilst some environmental sampling at the original floor base could be very informative. 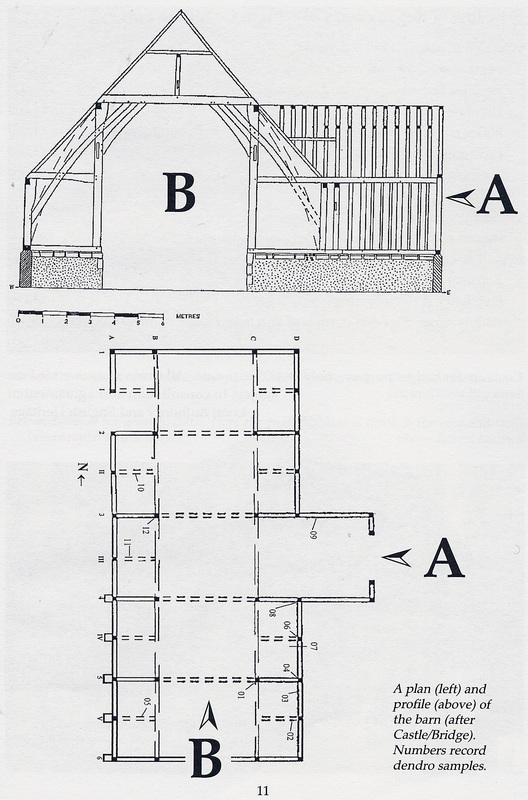 The structural timbers were usually 'marked' prior to and for assembly and identified again when a sequence of erection of the sections was determined. 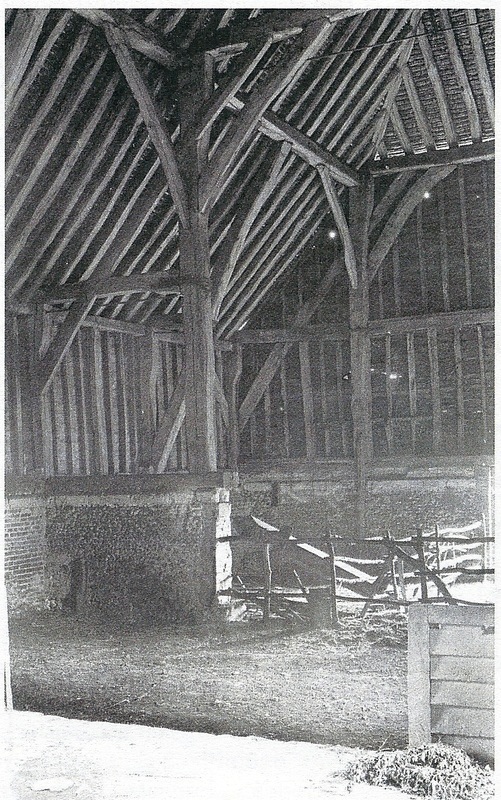 It may be that such 'signatures', given the specialist skills of the carpenters, are identical to those on the timbers of other barns built about the same time (eg Harpendenbury). Some of the roof tiles (approx 15,000) will surely be original handmade 14th century tiles: archaeo-magnetic dating and/or thermo-luminescent analysis should be instructive. It must also be questioned (as archaeologist Or Jonathan Hunn has speculated) whether the very high rake of the roof is evidence that it was originally thatched? Close examination of original roof timbers may offer support for this possibility. Externally it should be remembered that '100 marks were allocated for the Barn and associated buildings'. Geophysics of the surrounding land may yet yield evidence of the footprint of those buildings (possibly timber structures) and also of tile kilns if the massive quantities of roof tiles needed were produced in situ. 1396-1401 - Abbot John Moote. Croxley Great Barn built. 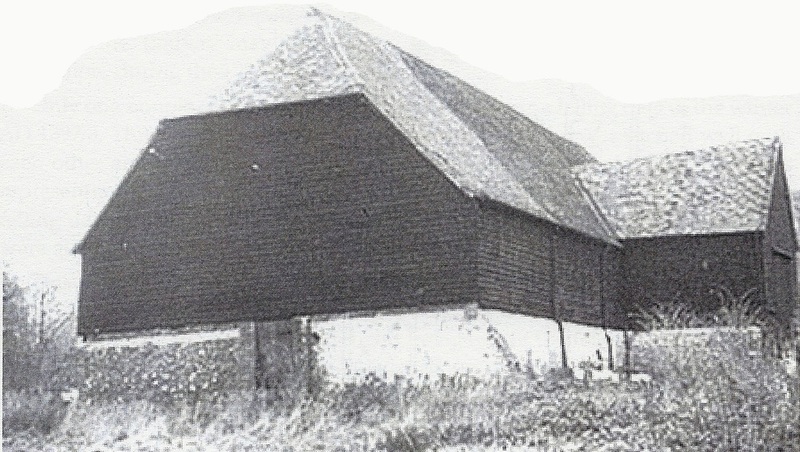 1398 - Harpendenbury Farm: Kinsbourne Barn (similar to Croxley) built by Westminster Abbey. 1399 - Richard II deposed & killed in prison. Henry IV (Bolingbroke) declared King. 1400 - Geoffrey Chaucer believed to have died/been murdered - no record of his death, no grave, and no commemoration. 1520s - Cardinal Wolsey becomes Abbot of St Albans. Sometime resident at The Moor whilst Lord Chancellor to Henry VIII until dismissed 1529. 1536-40 - Dissolution of the monasteries. 1538? - Manor of Croxley leased by Crown for 44 years to William Baldwin. 1547 - Bequeathed by Baldwin to his sons Thomas & Richard. 1557 - Manors of Croxley and of Snells Hall purchased by John Keys (Latin: Caius) from Queen Mary (1553-58) for £461 = 20yrs annual rent value. 1557 - Caius obtained Charter of Foundation for Gonville & Caius College and donated Manor of Croxley to the college. 1570 - Caius wrote 'Treatise on Englishe Dogges'; first reference to characteristics of the Border Collie. 1640s - Cromwell's troops allegedly billeted in barn (evidence welcomed). 1692-1868 - Farm tenanted by Bovington family(?). 1868 Mrs Bovington on G&CC 'quit register', followed by T Warwick and Shirley West. 1894 - A pair of cottages built close to barn for £365. 1900? - Tenant Charles Sansom (watercress grower). 1909 - Visited by Royal Commission on Historical Monuments, photographed, published 1910 by HMSO. 1921 - Watford Observer prints large sketch of barn by W E Edwards, together with brief history. 1951 - Ministry of Housing & Local Government designate the barn as Grade Ill, but admit error in September of that year and promise reclassification to Grade 11. 1962/3 - Press reports and photograph of severely collapsing roof etc. ; continues unchecked until August 73. 1963 - Press report: E P Weller, Bursar of G&C College, has offered barn as a gift to Rickmansworth UDC. 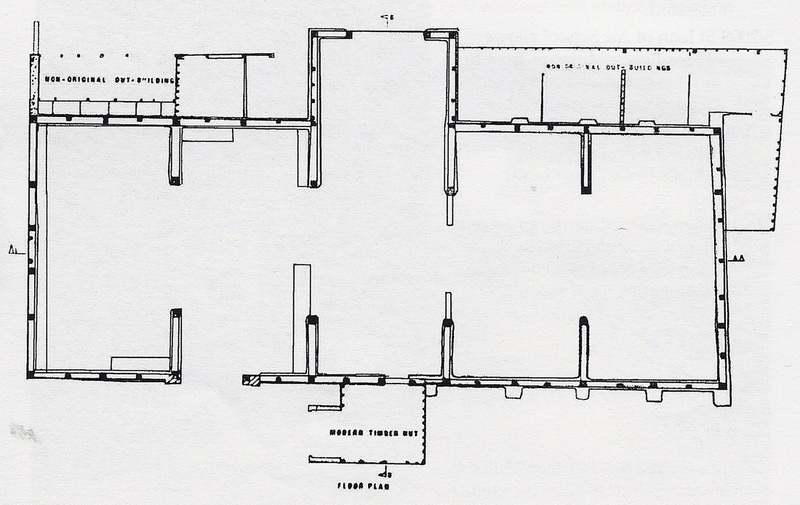 5/1963 - Report by R Andrews, architect, to Rickmansworth UDC on possible uses for barn. 1970 - 'Listed Building' regrading confirmed: now Grade II*. 9/1972 - Property Deeds transfer ownership from G&C College to Herts.County Council. 8/1973 - Renovation commenced by County Architect: proposed cost £17,000 + £4,500 Government Grant. 'Will take some months'. 9/1975 - Restoration completed (2 years), timbers sent for dendro-dating and barn available for St [oan of Arc School. The final cost and the whereabouts of the specifications /working drawings are still unknown. 5/1995 - Property Deeds transferred ownership at no cost from Hertfordshire County Council via 'Educational Assets Board' to the Governors of St [oan of Arc School, together with 6-acre sportsfield. 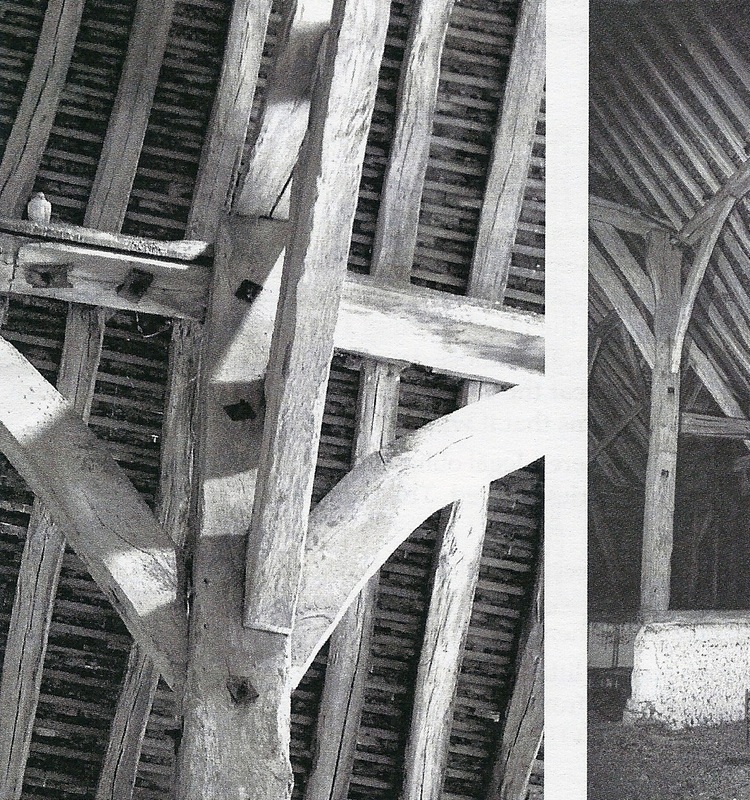 2000 - Barn timbers dendro-dated to winter 1397/8 by Dr Martin Bridge (UCL) for English Heritage: Report 25/2000. 2002 - Placed on English Heritage 'Buildings at Risk Register'. 2003 - Barn proposed but not selected for first series of BBC TV's Restoration series. 2/2005 - Feasibility Report (90pp.) by Scurr and Partners Ltd, Architects. 11/2005 - Condition Survey (14pp.) by RM Crump Ltd. Laser scan of structure to produce full 3D CAD model. 2006 - Considered for second series of Restoration but, after visit by programme director, again not selected. 5/2008 - St Joan of Arc School allows Three Rivers Museum Trust to offer interior viewings by arrangement with school. 5/2008 - Fleetingly seen in Christina, a BBC4 TV programme by Michael Wood, medieval historian. 2/2012 - Ownership of barn transferred to private company, The Croxley Great Barn Foundation (Company No. 07962740). archaeo-magnetic dating and/or thermo-luminescent analysis should be instructive. It must also be questioned (as archaeologist Or Jonathan Hunn has speculated) whether the very high rake of the roof is evidence that it was originally thatched? 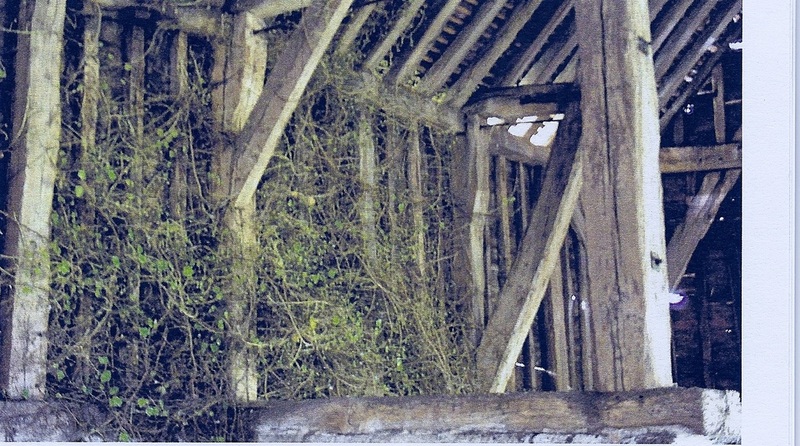 Close examination of original roof timbers may offer support for this possibility. - ensuring continued access, and giving consideration to possible public uses of the building. See 'Founding sponsors statement' on the Croxley Great Barn website. 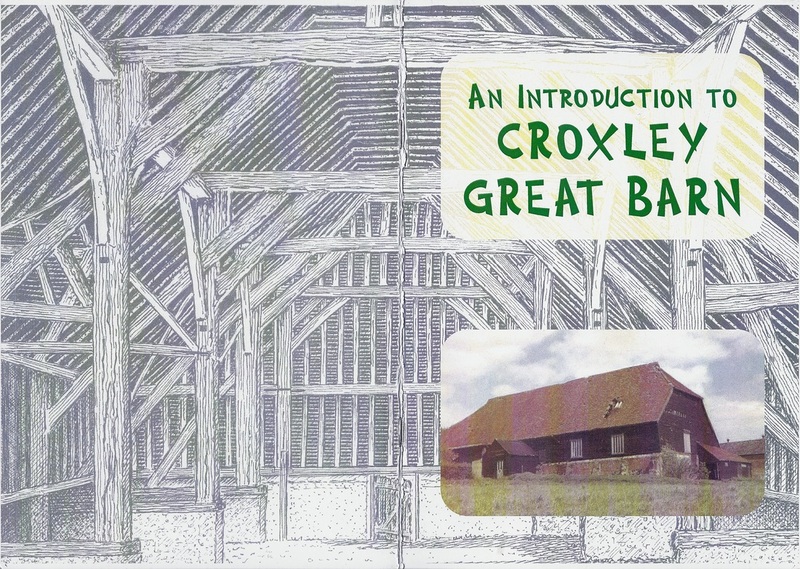 With grateful thanks to David Harding who allowed the Croxley Green History Group the permission to use his book "An Introduction to Croxley Great Barn"